I had to start with foundation as it's the first item I apply within my makeup routine. My £20 budget didn't allow for a primer unfortunately, and I don't technically use one every time I apply makeup. I opted for the Max Factor Lasting Performance Foundation £5.95 as it claims to have a touch-proof formula with a 'guaranteed 8 hours of stay put perfection', so I figured it would be a good choice for longevity as I'm not using a primer. The foundation contains lightweight silicones to give a smoother appearance to the skin, which I do agree with as it just glides over the skin without sitting in the pores or emphasising any uneven skin texture. In regards to the touch-proof claims, I have to agree again which rarely happens as I'm usually very picky with my base products. I'm not sure it offers eight hours of wear, but it certainly lasts longer than any of my other drugstore foundations which really surprised me as it does feel relatively lightweight for a fuller coverage foundation. Due to the fuller coverage, I don't need to use a concealer on better skin days and I couldn't include a concealer within the £20 budget so it was a good choice. I really like how travel friendly the packaging is too, as it's a slim plastic bottle making it an ideal foundation for your makeup bag. I always like to use a powder to set my foundation in place, and eradicate any shine. I don't suffer from oiliness but my skin can get very shiny as I use quite rich moisturisers, so a powder helps to remove excess shine from the places such as my forehead, nose and chin. For the rest of my complexion, I prefer a more dewy finish so I like to use a loose setting powder with a big fluffy brush and I chose the Technic Soft Focus Transparent Loose Powder which is only £1.95 and contains a huge 20 grams of product. The powder can be used to set your foundation and concealer in place, and can even be used for baking should you wish to. The pot contains a circular sponge but I wouldn't recommend using it for application of the powder, or it can leave the skin looking a little cakey so I'd always recommend using a fluffy brush when applying loose powder. I'm pretty lucky in the brow department as I naturally have fuller brows so I prefer using brow products which offer tint and hold in one, rather than products to perfect their shape. 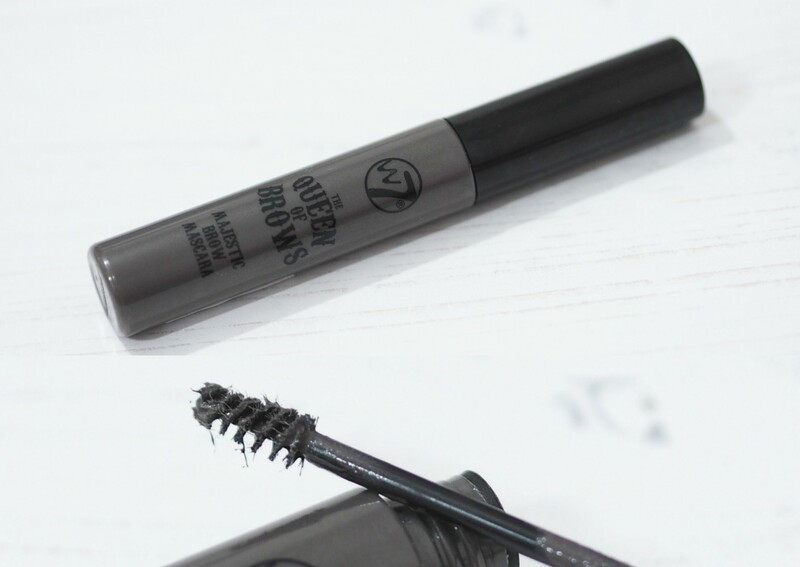 I decided to go for the W7 Queen of Brows Majestic Brow Mascara £1.25 as it's a tinted brow gel which really reminds me of the Benefit Gimme Brow, especially as the formula contains fibres which adhere to your natural brow hairs to give a fuller brow effect. The brush is tiny with a tapered design which allows for a precise application and this Medium Deep shade is an amazing shade match for my brows as it's a cool toned dark brown. I use the brush to comb through my brow hairs and set them in place, whilst adding extra definition and fullness thanks to the tint within the gel. There are so many really impressive budget eyeshadows within the drugstore so it was hard to decide which to choose. 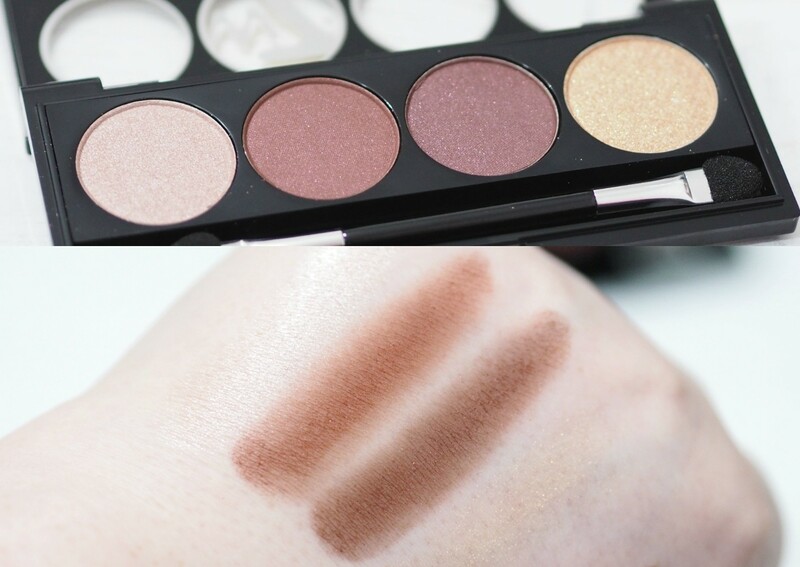 I decided to opt for the W7 Let's Go Beige Eyeshadow Quad £1.95 as it contains a mixture of matte, shimmer and glitter shadows. Although this quad is called Let's Go Beige, I don't find the shades to be very beige at all as it contains reddy toned shades alongside a champagne and a gold glitter. All four shades are beautiful with a very soft and creamy texture which is easy to apply and blend, although the fourth glitter shade is best applied with a damp eyeshadow brush for maximum colour payoff. This really is a great eyeshadow quad for the price as it works out at just 48p a shade, and the packaging is nice and compact. No eye look is complete without mascara and one of my favourite drugstore mascaras is the Maybelline Lash Sensational Mascara £3.95. 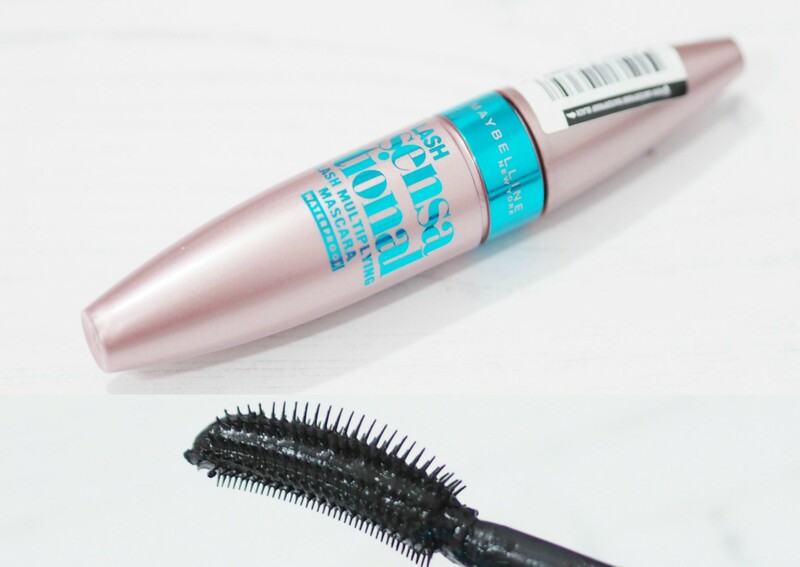 I think the Lash Sensational Mascara has a similar brush to the Benefit Rollerlash Mascara with one side of the brush having shorter plastic bristles, and the other side has longer curved plastic bristles. I like to use the shorter bristles for coating my lower lashes, and the longer bristles for doing my upper lashes and adding a curl thanks to the curved brush. This is the waterproof version so it has amazing staying power without smudging, flaking or transferring and the waterproof formula is particularly effective at holding curl after using eyelash curlers which I personally appreciate as my lashes are so straight and short. 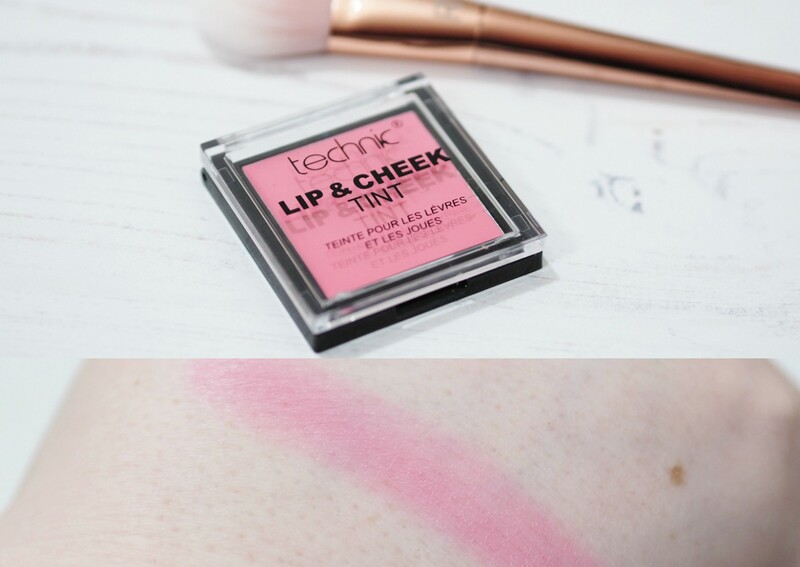 You can't beat a good multi-use product, so I chose the Technic Lip & Cheek Tint 95p so I could use it for my blush and for my lip colour. The shade I have is Peony which is a beautiful rosy pink shade which I prefer to apply with my fingertips for a subtle tint to the cheeks and lips, and considering it's less than a £1 it's definitely not a bad product. The packaging isn't the nicest, but I'd rather the money was spent on the formula than the packaging with a budget beauty product like this. It lasts for around four hours on the cheeks, and an hour on the lips so it's not going to win any awards for its staying power but it's not the worst cream blush formula I've tried either. The last item of my £20 Makeup Challenge is a highlighter which is one of my favourite makeup steps as it makes such a massive difference to your overall complexion. 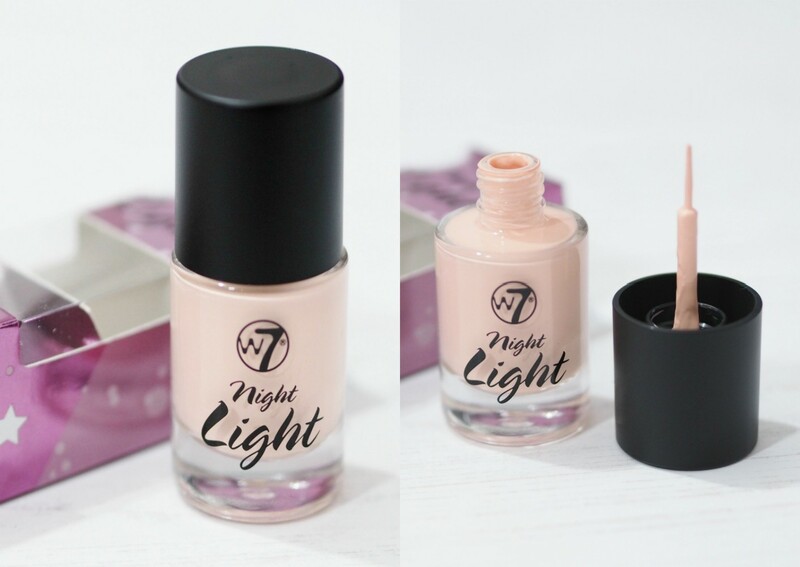 The W7 Night Light Liquid Illuminator £1.45 is a Benefit Shy Beam dupe, and is a matte light pink liquid illuminator which gives a stunning brightening effect even though it doesn't contain any shimmer. The bottle has a nail polish like brush within the lid, which you can just swipe on the skin wherever you wish and blend with your fingers or a brush for an instant glow. It's such a brilliant product - it's hard to believe it's under £2 and is definitely worth a purchase as it's extremely easy to apply and less intimidating than shimmery highlighters. All of our products came to £17.45 which means we had £2.55 change which is amazing considering we have seven makeup products. We'd love to know if you've ever done the £20 Makeup Challenge?